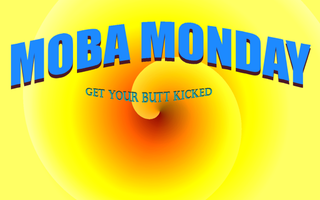 MOBA Monday is a weekly event that takes place every Monday night between the hours of 8:30 to 10pm EST. One BLIP will be issued an hour before the event to see who will be able to attend. Later it will be changed to a post notifying everyone that the event has started and will include live stream of the event. The schedule is posted on the TAY Calendar . We currently have a 4 game rotation which includes SMITE, DOTA, AWESOMENAUTS , League of Legends. Anyone who would like to join can. It's not an exclusive club for people who like to play MOBA's(which sounds like a lie. . .). If you have ever wanted to try a MOBA but have been intimidated by the genre or discouraged by the community then worry not for you are among friends and generally sane people who can help you venture into the world of DOTA2 MOBA's. The games on rotation are there because they are the most played within our community ( from what I've gathered. with the exception of SMITE. Go get smite you guys >.>) . If you have any suggestions of other games please leave them in the comments and they will be added if enough interest is generated. BECAUSE I PUT PEN TO PAPER AND PEOPLE SHOWED UP. Let me know if there you have questions that were not addressed.